Classic fit. 100% 2 ply cotton. 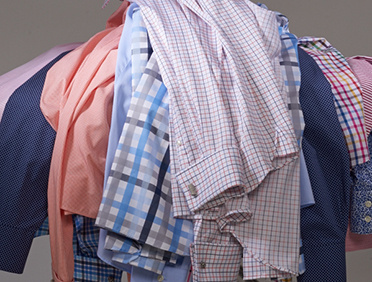 The brushed cotton of 'The Pepper Mill' gives the shirt a relaxed look and feel. Grey and brown checks with contrasting red and grey checked fabric in the collar and cuffs. Single cuffs with our signature 'Wise Men' collar.